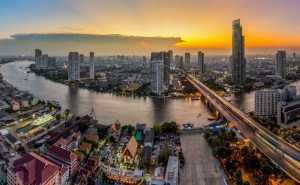 Bangkok (Thailand) – January 3, 2019 (travelindex.com) – The latest Global Destination Sustainability (GDS) Index has shown Bangkok came in second on the list of Asian destinations ranked. The rating, which measured by social and environmental sustainability strategies, industry supplier support, and Convention Bureau strategy and initiatives, also accentuated TCEB’s performance as a top scorer when compared to Convention Bureaus in other Asian destinations participated in the ranking. International Congress and Convention Association (ICCA) recently gave out GDS-Index Awards to top five destinations recognised for their sustainable practices in the business tourism and events industry. List of cities with the five highest overall scores are Gothenburg (Sweden); Copenhagen (Denmark), Reykjavík (Iceland), Oslo (Norway), and Uppsala (Sweden) respectively. According to the index, top five Asian cities with highest overall scores are Kyoto (Japan), Bangkok (Thailand), Goyang (South Korea), Sapporo (Japan), and Dubai (United Arab Emirates) respectively. Bangkok was ranked second in Asia and 21st in the world according to the GDS-Index. The ranking was measured across four key areas including city environmental strategy and infrastructure (14 topics); city social sustainability performance (4 topics); industry supplier support (8 topics); and Convention Bureau (CVB) strategy and initiatives (12 topics). In overall, Bangkok received a total score of 58%. The city scored 69% in the area of CVB’s performance or higher scores than the global benchmark which stood at 53%. Mr. Chiruit Isarangkun Na Ayuthaya, President of Thailand Convention and Exhibition Bureau (Public Organization) or TCEB, said that Bangkok and TCEB participated in the GDS-Index for the first time and the bureau is delighted with the result. The ranking showcases the country’s commitment to the international standard and the focus on environmental sustainability for meetings and events industry. “Given the fact that international MICE travellers increasingly focus on sustainability while the GDS-Index aligns with the United Nations Sustainable Development Goals, therefore, this ranking certainly benefits both MICE industry and Thailand at the same time,” said Mr Chiruit. The Global Destination Sustainability Index (GDS-Index) is a prize-winning grassroots Scandinavian initiative that evolved into the first-ever sustainability ranking for event destinations worldwide. A collaborative partnership between ICCA, European Cities Marketing, IMEX and MCI Group, promotes knowledge sharing, capacity building, and benchmarking. According to ICCA and UFI, the Global Association of the Exhibition Industry, Thailand ranked fifth in Asia for international conventions and seventh in Asia for international exhibitions. Both indexes spotlighted Thailand as the number one destination for conventions and exhibitions among ASEAN countries.